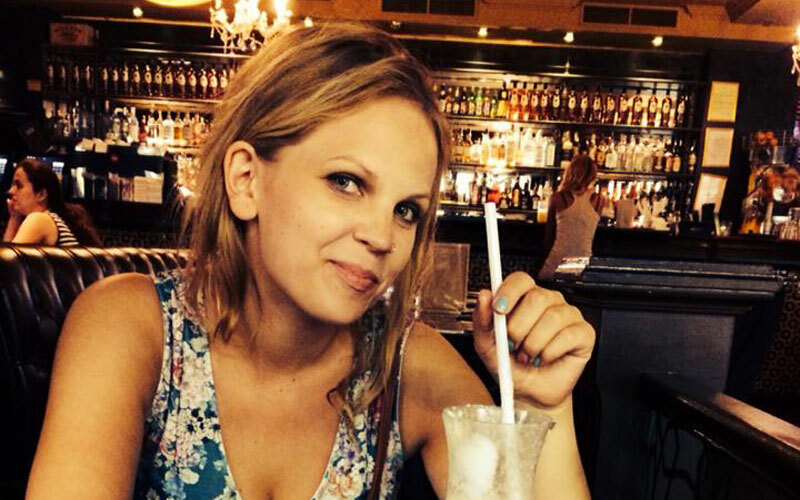 Travel guru, Michaela Smiskova, talks us through the ultimate stag weekend in Poland's capital, Warsaw - including strip clubs, bars and how to get rid of the hangover. Michaela Our Polish travel guru, Michaela Smiskova, knows the best ways to celebrate your stag do in the Polish capital - Warsaw. What are the top activities for a stag group in Warsaw? Definitely paintball, what's not to love? I would also suggest you start the night with a party bus and vodka tasting. You can’t go all the way to Warsaw without sampling the local vodka. The Metropol Hotel is super central, just opposite the iconic Palace of Culture and Science, and I can guarantee you’d have a good stay here. Where are the best places to celebrate the stag do? Warsaw's nightlife is situated on two main party streets - Nowy Swiat and Mazowiecka Street. Nowy Swiat is jam-packed with pubs and bars, whereas Mazowiecka is the place for the city's best nightclubs. I would absolutely recommend ending up here on your stag do. Where should we take the Groom-to-Be? Definitely Nowy Swiat and Chmielna Street for the pubs. If you are feeling a little flash, you must visit Platinum Club. 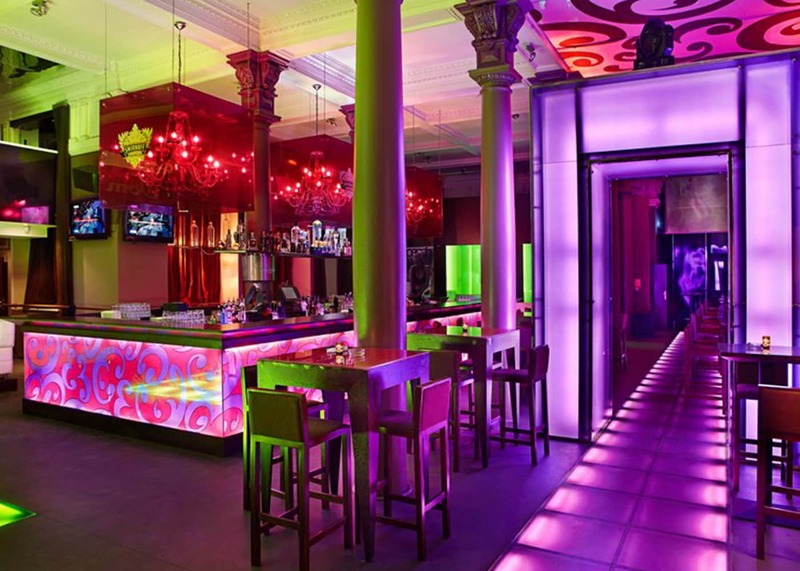 This is hugely popular in Warsaw, regarded as the city’s most famous and exclusive club – this place has marble columns, chandeliers, champagne and beautiful people. Are the drinks cheap? Can you recommend any local favourites? The drinks are really cheap and you can get a big bottle of beer for 8PLN (about 2 euros). Shots are also around 1 euro each – so it’s a fantastic choice for a stag do. What time do pubs close? The pubs and bars generally close around 2am. However, some do stay open much later – Platinum Club is open until 6am! . Any good strip clubs to take the Groom and embarrass him? Definitely Hustler Club – Warsaw's finest Gentlemen's Club. This place is filled with gorgeous women and its right in the heart of the city – so you've got everything around you. New Orleans is also a good choice for stag groups. Any restaurants I shouldn't miss? Bar mleczny (milk bar) is a typical Polish canteen. The first milk bars appeared in Poland at the end of the 19th century, and are a huge institution. There are plenty in Warsaw, such as Pod Temida, and I would definitely say they are worth a stop by. Some of my favourite restaurants are also located around the Hotel Metropol and on Nowy Swiat. Any local dishes that could help with hangovers? Zurek soup! 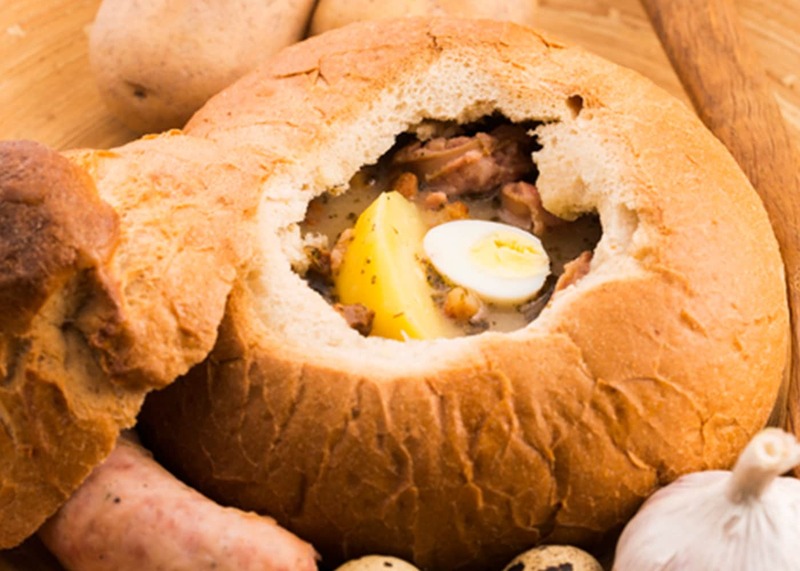 This is a soup made of soured rye flour and meat and is often served in a bowl made of bread. You should also try one of Poland’s most famous meals, duck breast with braised red cabbage – it will make you feel better instantly. 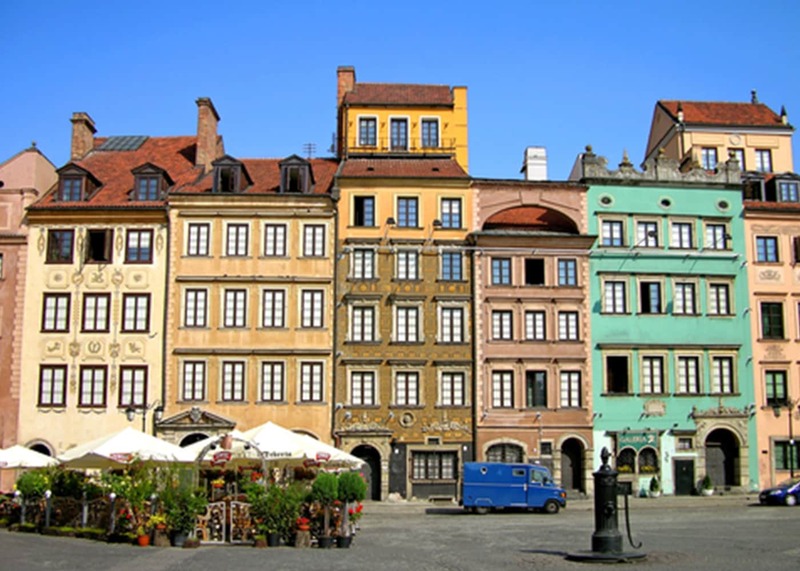 The historical centre is probably the most iconic attraction in Warsaw. It has everything; beautiful architecture, busy bars and famous clubs. You should take some time out to explore during your stag weekend. Any hidden gems I shouldn’t miss visiting while I’m there? 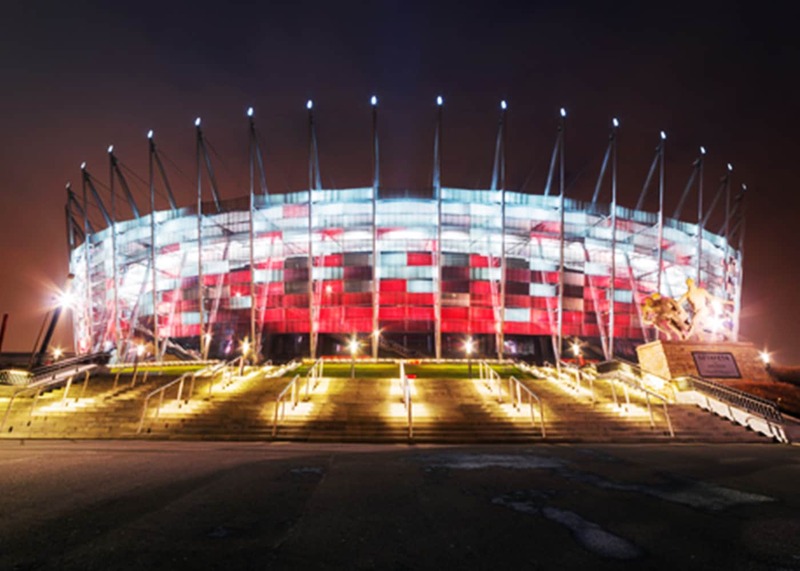 Well, it’s not exactly hidden, but every stag group should take a tour of the National Stadium – which hosted the 2014-15 UEFA Europa League final. It's really impressive. Is it easy to get around the city? Warsaw has an extensive bus and tram system and it criss-crosses the city – so you won’t have trouble getting around. You can also find night buses in the centre, displaying the letter 'N', and these run on most routes, twice every hour. Sounds amazing, what’s the best way to get there? You can get to Warsaw from eight airports in the UK – Birmingham, Glasgow, Liverpool, London Luton, Heathrow, Gatwick, Dublin and Doncaster / Sheffield.